Wearable tech garage sale: How much are your gadgets worth? Many pundits have suggested that wearable tech is going the way of the waffle maker, and fitness trackers around the world are heading to our drawers, doomed to be forgotten forever. Obviously we beg to differ here at Wareable, but if your fitness tracker has fallen out of favour, it needn't gather dust. 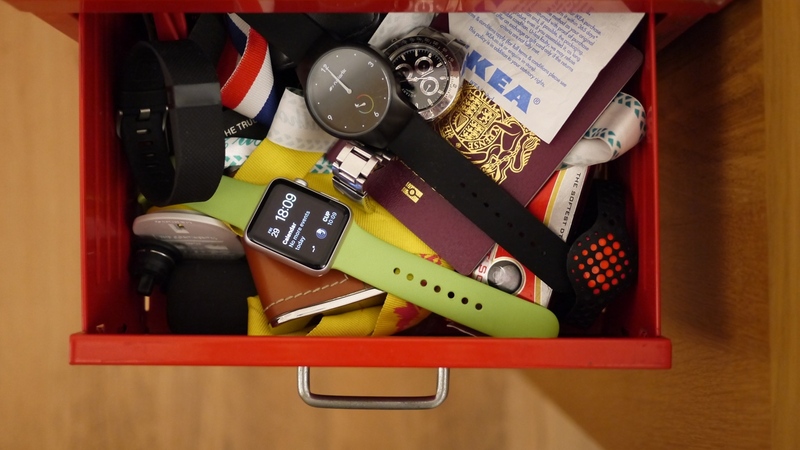 There's a roaring trade for second-hand wearables online, so we spent some time tracking down the second hand value of some of our favourite gadgets, to prove that one man's rubbish is another man's wearable. On-board GPS has been a big selling point for the Fitbit Surge, proving that wearables are more than just an extension of your smartphone. However, if you're looking to move on, a fellow fitness enthusiast will happily take it off your wrist for the going rate of $149. Customisation was the big USP for this wearable, unlike its android poster child predecessor. However, if your new Moto is gathering dust, you can sell your second hand 2nd gen model for around $260. Despite the Vivosmart being replaced by bigger and badder Garmins, the first generation will net you around $60 on eBay. Not a bad return for a device that first saw light of day back in 2014. Shifting almost 2,000 devices a day according to the Korean Herald, the Samsung Gear S2 has doubled the sales volume of the original Gear S; living proof that if wearables are going anywhere, it's not to join your Sony Minidisc in tech heaven. And in the second hand market bidders will pay up to $200 for your used Gear S2 Classic, should you want rid. With the Apple Watch claiming its lion share of smartwatch sales, people's champion Pebble has been breaking records elsewhere; raising $1 million dollars in under 50 minutes for last year's Pebble Time Kickstarter campaign. It's clear with that much interest, consumers are invested, and judging by the average price of $180 for a used Pebble Steel, trying to prise one away from its owner is in fact no steal at all. A track record of delays in Jawbone's shipping dates would have you believing that more and more, our fitness trackers are lain forgotten next to your old external hard drives and miscellaneous AA batteries. But you only have to look on eBay to see the thriving second-hand market, with a used UP3 going for around $98.